Do you still need the sheet? Hi clearcanopy, I've been trying to find the parts sheet for some time and would be interested in a copy. 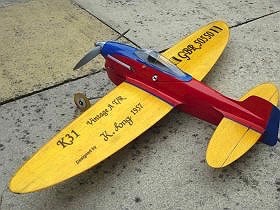 I have a great planes pitts and I'm looking to scale up the plans to 1/3rd scale. Please get in touch. I would like very much a copy of the parts sheet. Have you got this parts sheet scanned, if so would it be possible for me to get hold of the file please. I very much want to build this plane but it is difficult without parts details. Thanks if possible. I hate to be a buzz kill but I believe there is no "Parts Sheet" for this kit. I got my plan years ago from a guy who was actively building one and there was only the 2 main sheets with it.